Northern California PBS and NPR member station KQED formally introduced Michael Isip as its new president & CEO today. Isip joined KQED in 2001 and has played a critical role in KQED’s growth and transformation into a 21st century multimedia organization, serving in a number of senior-level roles. He succeeds John Boland, who recently announced his retirement and who will remain with KQED as president emeritus through September 2019. Isip joined KQED in June 2001 as executive producer in TV Productions, and moved into numerous roles that ultimately expanded his scope of responsibility to include television and radio production and programming, education, broadcast, digital and IT, engineering and operations, facilities and revenue. One of Isip’s most impactful contributions to KQED was reorganizing KQED’s content division away from distribution platforms (TV, radio, online) to a structure of multimedia teams for news, arts, science and education. This restructure facilitated greater collaboration across KQED and increased digital content and services. Today, KQED’s total audience and membership are at all-time highs. Isip’s depth of experience leading complex projects and change will especially benefit KQED, as much of his immediate focus will be to shepherd the station through a major renovation of its San Francisco headquarters, beginning this summer. Designed by the award-winning architectural team at EHDD, the redesigned KQED headquarters “will become a place of trust for our community — more open, inviting and accessible for individuals to come and not only connect with the station, but with each other,” says Isip. Prior to coming to KQED, Isip led local production as an executive producer at KVIE Public Television in Sacramento. He started his career at WLS-TV in Chicago. He is a senior fellow for the American Leadership Forum – Silicon Valley. 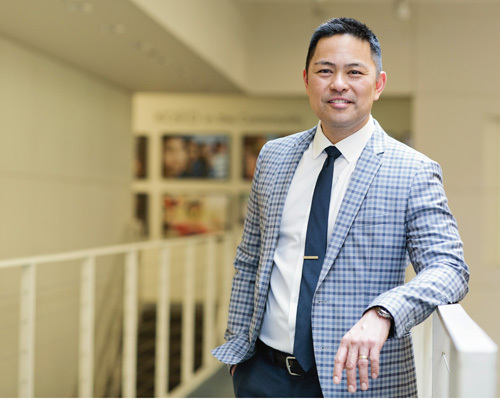 He is also on the board of directors for Public Radio International and Public Radio Exchange (PRI/PRX), American Documentary Inc., producer of the PBS documentary series POV, and is a former director of Pacific Islanders in Communications (PIC).